Clothes Moths are extremely annoying and have the unnerving habit of dining on your favourite clothing. The problem is not really with the moth you see flitting around the lights at night. The real issue is with the larvae, as these are what eat your clothing and leave you with unattractive holes. Seeing moths around your home is an indicator that you have textile destroying larvae in the home. Clothes Moth Killer Sprays are very effective at killing off these destructive little invaders. Unlike other treatments, the sprays are applied directly to textiles such as furniture and carpeting. The fabric should not be saturated, as only a light spray is required. Regular cleaning will gradually remove the treatment, so it will have to be reapplied from time to time. Moths are extremely annoying and have the unnerving habit of dining on your favourite clothing. At the first signs of a moth infestation, immediate action should be taken to limit the damage caused by these annoying insect pests. To help you choose the right products we have created Clothes Moth Killer Kits, containing all the necessary products to control moth or clothes moth infestations. Clothes Moth Traps are ideally used in drawers, cupboards and chemical sensitive areas such as kitchens and pantries where insecticides are not recommended. Filled with pheromone bait to attract male clothes moths to the trap, they are then caught on the glue inside the trap. 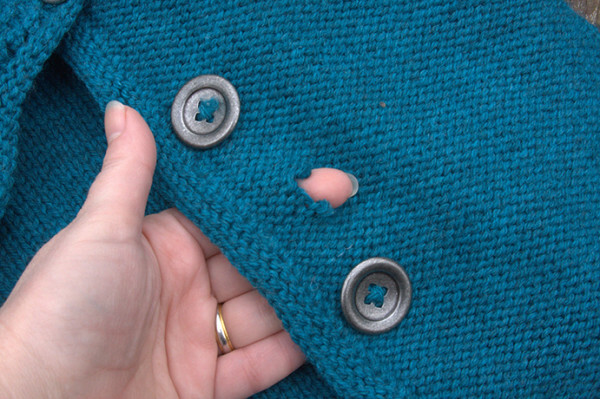 Seeing moths around your home is an indicator that you have textile destroying larvae in the home, and immediate action is required to reduce any damaged cause by these unwanted pests. 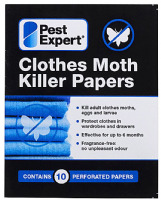 Clothes Moth Foggers & Fumers are an effective option for ridding the entire home of moths. Once set off, the smoke or mist will penetrate all ‘nooks and crannies’ and kill moths in and out of sight. 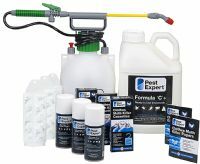 This Clothes Moth Killer Kit enables you to carry out a comprehensive clothes moth treatment to several rooms or double wardrobes, using a range of the best clothes moth killer products from market leaders Pest Expert including: Formula 'C+' Clothes Moth Spray, Formula ‘P’ Clothes Moth Fogger, Moth Killer Cassettes, Moth Killer Papers and Demi Diamond Moth Trap. The combination of insecticides delivers a rapid knockdown of clothes moth and helps maintain long-lasting clothes moth control. Supplied with full instructions for use. Pest Expert Formula 'C+' Clothes Moth Spray kills clothes moths fast and leaves a residue that offers long-lasting clothes moth control. This ready-to-use insecticide is safe for direct application to the interior walls of wardrobes and drawers. 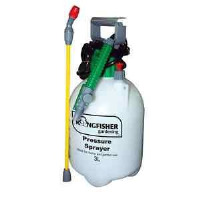 A one litre trigger spray covers 20 sq m.
Pest Expert Formula 'P' Super Fumers are clothes moth smoke bombs for fumigating clothes moth infestations. The permethrin smoke penetrates into cracks and crevices to kill clothes moths harbouring there. 1 Super Fumer is required to treat a standard bedroom. The Pest Expert Formula 'P+' Fogger is a total-release aerosol device for fumigating clothes moth infestations. The Fogger releases an insecticidal gas which penetrates into cracks and crevices to kill clothes moths harbouring there. Use 1 Fogger for treating an average size bedroom. The strongest amateur approved Moth killer spray on the market. Lasts for up to 12 weeks after being applied. The strongest amateur approved clothes moth killer on the market. Lasts for up to 12 weeks after being applied. A simple fogger device, once set off will kill all Moths and Clothes Moth Larvae in the room. Protects clothes and bedding from moth damage. 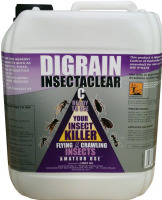 Kills adult moths, larvae and eggs. Last for up to 6 months. Protects clothes and articles from damage by clothes moths, larvae and eggs for up to 6 months.